The faculty of Languages and Translation held a seminar on ” The Creative Process from Writing to Translation” on Monday 24/4/2017. 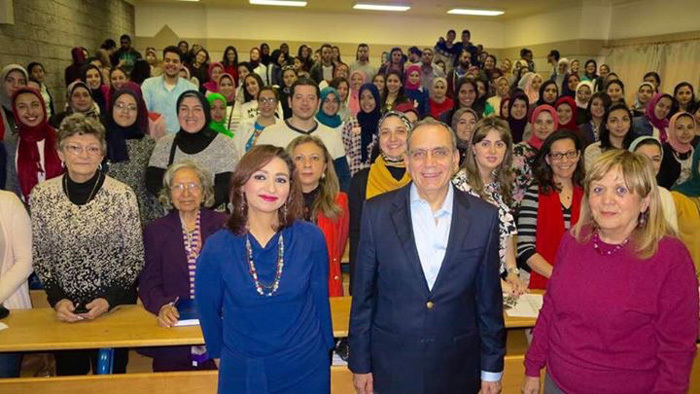 The seminar was given by the Ambassador Mohamed Tawfiq. 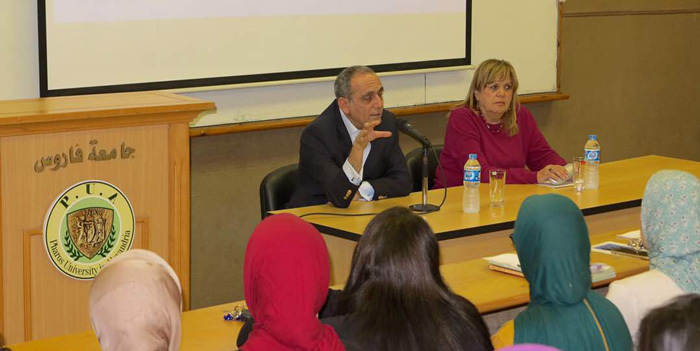 At the outset of the seminar, the Ambassador Mohamed Tawfiq discussed the creative process of writing and how it varies across cultures as well as the different writing practices of international novels and experimental and musical plays. Then, he introduced the other facet of the creative process: translation which he defined as the bridge between different cultures and civilizations. 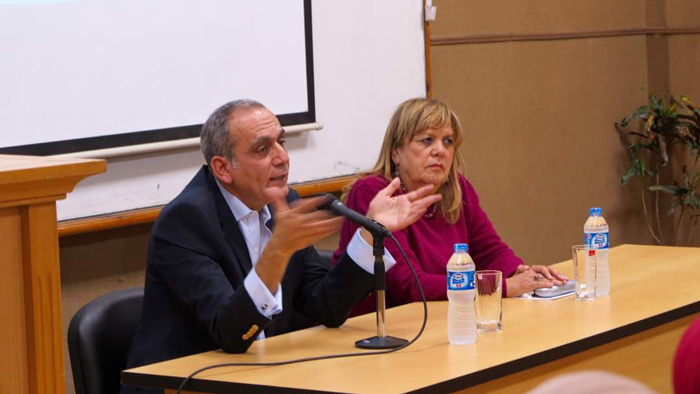 He also outlined the vital role played by the process of interpreting at the political and international conferences. 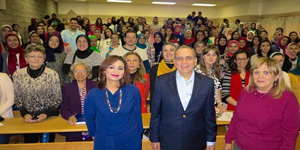 The event was held under the supervision of Prof. Leyla Kamel, the Faculty Dean and coordinated by Mrs. Rania Bassiouny, the leader of the faculty student activities. 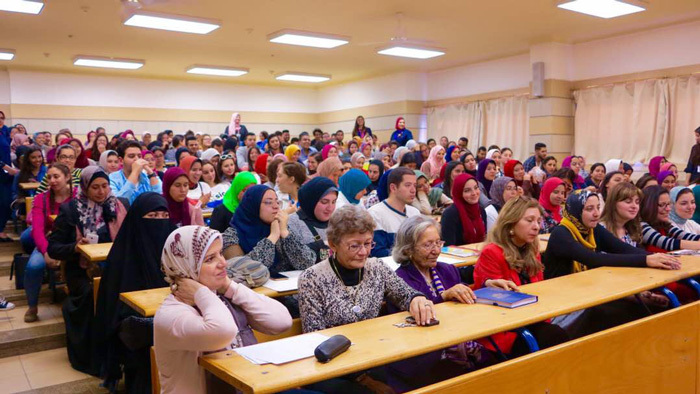 Faculty members, teaching assistants and a considerable number of students were in attendance at the symposium.